With Defiance 2050 you can join your friends and become an Ark Hunter in a massive cooperative online shooter like no other. Choose from an array of fully customizable weapons and classes, explore a unique futuristic open world, and engage in epic fast-paced third-person shooter combat. Defiance 2050 is a futuristic online action shooter set in a post-apocalyptic sci-fi world filled with advanced alien technology. Team up with friends to engage in massive co-op battles, complete compelling story missions, and discover rare weapons and equipment. As you explore the reimagined Defiance universe, you’ll experience new gameplay systems for character progression, loadout customization, and much more! 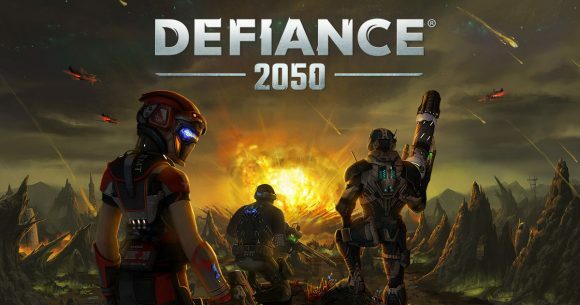 Defiance 2050 is being built as a free to play game, so everyone can explore the massive post-apocalyptic environment with cutting-edge graphics and new in-game systems. To expand your experience, there will also be a variety of optional purchasable cosmetics and items that are not tied to power as an extra downloadable content, ensuring that all players are able to enjoy the Defiance 2050 experience on an even playing field. – Graphics: Nvidia GeForce GTX 650, ATI/AMD Radeon 7770 or better.